I became an attorney to represent people who seek justice. When you retain me, you are putting faith in me to ensure that you receive the best possible result for your situation or circumstance. I take that entrustment seriously and will relentlessly battle for your success. The Hosharian Law Firm has been serving the needs of clients in the Southern California community since 1994. Throughout our 17 years of practice, we have represented thousands of clients mainly in the areas of Immigration, Criminal Defense, and Personal Injury. We also handle Workers Compensation, Family Law, Bankruptcy and Civil Litigation Cases. We are a full service law firm dedicated to achieving the best possible results for all of our clients. When you retain the Hosharian Law Firm, you can rest assured that you will have direct contact with Peter Hosharian and not only an associate from his staff. 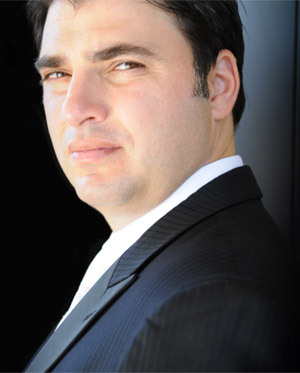 While many other attorneys will pass on cases to other attorneys or paralegals, Peter Hosharian personally oversees all cases of those whom he has accepted as a client. We understand the stress involved with having a situation which requires legal service. It is for this reason that the Hosharian Law Firm prides itself on diligently responding to the needs of their clients. Whether it be a case that requires immediate action or just a simple question, we will do everything possible to address the situation and ease the worries of our clients. Once you become a client of the Hosharian Law Firm, you become part of our team. Hundreds of clients have brought us repeat business over the last 17 years because they know that we will, have always been, and will continue to be on their side for whatever legal issue they may encounter. We would like you to become part of our team. We are a Los Angeles-based law firm, conveniently located in Burbank, CA. Just minutes from Downtown Los Angeles. Criminal Defense Attorney & former LA Dep. Dist. Atty.